However, according to lawn care experts, you don't want to start too soon! In fact, if you get out and start spending too much time on your lawn before it is fully green, you can actually end up compacting the grass and even killing new shoots before they have a chance to mature. Better to wait until your lawn has turned mostly green before you begin raking, mowing or aerating. If you were fertilizing your lawn in the fall, it's very likely that you won't need to apply a new application of fertilizer at all during the spring. This is especially true for cool season grasses such as bluegrass or rye as they are good at keeping fertilizer from the fall and using it through the winter and into the spring. If you have a warm-season lawn, such as zoysia or bermudagrass, they actually become dormant in winter. This is more common in places like California, for example, and these shouldn't be fertilized until they come out of dormancy. In fact, a good rule of thumb is to wait until your fourth mowing to before applying any fertilizer to warm-season lawns. In fact, regardless of the type of grass your lawn has, spring is not the best time for fertilizer. That's because fertilizing in early spring can encourage rapid growth of your lawn grass. That means you’ll need to mow it earlier and sooner and probably more often. And it can also give a growth spurt to weeds. And what about all those weeds? If your lawn is prone to weeds, as many are, then early spring is a good time to apply a light application of a pre-emergent weed killer herbicide. This will prevent those weeds from getting started or developing further. It's always easier to kill weeds before they have a chance to form than after they've fully matured. And go easy on the weed killer so you don't damage any new grass that is starting to grow. In the spring, start your yard process with a thorough, deep raking before you begin to do anything else with the grass. A good raking will pull up any thatch that may have accumulated over the winter and let's you see any bare spots or compacted areas. If you have areas that have become compacted, you should use an aerator to loosen the soil and allow the grass to grow more easily. We talk more about treating bare spots further on here. One other task you should complete before launching into a full-scale lawn care regimen is to test for soil acidity. This is surprisingly easy to do, yet many homeowners never take this step. "Most home improvement stores and garden centers like ACE & True Value sell do it yourself soil pH tests. These tests are a valuable tool as you prepare your lawn for the summer. Harsh, long winters can cause the pH levels in your soil to become very acidic, which makes it difficult for most grasses to thrive. If you find that your soil has a high acid level, you can spread a thin layer of lime over your lawn. The lime neutralizes the acid and makes the soil better able to support new grass growth." Have Good Hoses Lawn care requires good tools and a quality garden hose is probably the most used tools in your collection. If you need to purchase a new one, make sure it’s above the economy grade types and that it’s sufficiently long enough to water all the areas you need to get to. Prep Your Mower Before you start mowing, you should service your lawn mower, or have it done professionally. Having sharp mower blades is essential as dull blades tend to tear grass instead of cutting it, which can make your grass more susceptible to disease. Time Your Watering Avoid watering too early in the spring. The roots of your lawn grass grow first and will grow deep into the soil when it’s drier, and deeper roots make for healthier, hardier grass. But don’t let it go too long - if the grass blades do not spring back after you walk on them, then it’s time to water. Treat Bare Spots Bare spots in your lawn need to be treated as soon as possible to keep weeds from filling them. You can cover the bare spots with grass seed or install a sod patch. With either method you will need to prepare the soil first by weeding and then loosening the top layer of soil with a rake. Use Your Clippings Grass clippings are a free source of nutrients for the lawn, especially nitrogen, and they decompose quickly. 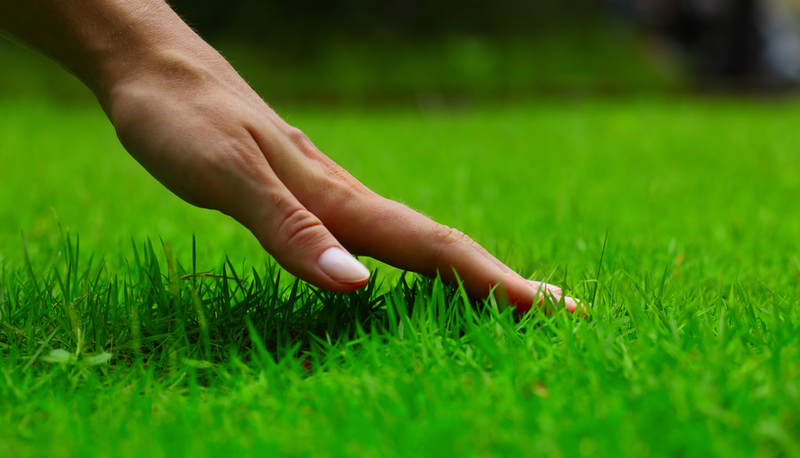 You can let your mower simply recycle clippings back into the soil of your lawn instead of bagging them. You can also add them to your compost pile or use them as mulch under shrubs and around other plants. Another chore that may be needed either before or after you prep your lawn is getting rid of any accumulated yard waste and debris. This could simply be piles of dead branches, leaves, old compost and dirt, or large amounts of rock, concrete, lumber and other items from the winter or renovation projects. And getting rid of yard waste does not have to be a DIY project! You long ago learned that yard waste can come in many forms. In addition to your major DIY gardening or landscaping project that’s left dirt and debris everywhere, the winter storms may have left broken tree branches all over your yard. And you may also have large amounts of junk and clutter in your yard that you haven’t had time to clean up. 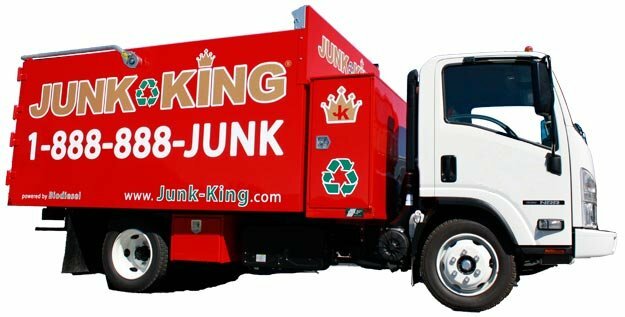 Whatever it is and whatever the reason, Junk King provides an efficient, safe and eco-friendly yard waste removal service so you don’t need to worry about the pick up or disposal of your yard debris. Our experienced debris removal team will break down and haul off any types of yard waste you have. Unlike the backseat of your car, our junk removal trucks are made to handle those dirty yard debris items. Ready to get rid of your yard waste? We make it simple. Make an appointment by booking online above or by calling 1.888.888.JUNK (5865). Our professional and insured yard waste removal team will show up at your home or office, and we’ll call 15 minutes before we arrive on site. Once there we’ll give you a free estimate based on how much room your junk takes up in our truck. You just point, and we haul the debris into our junk removal trucks, with no hidden fees.